Last Date to Apply: September 30, 2018. 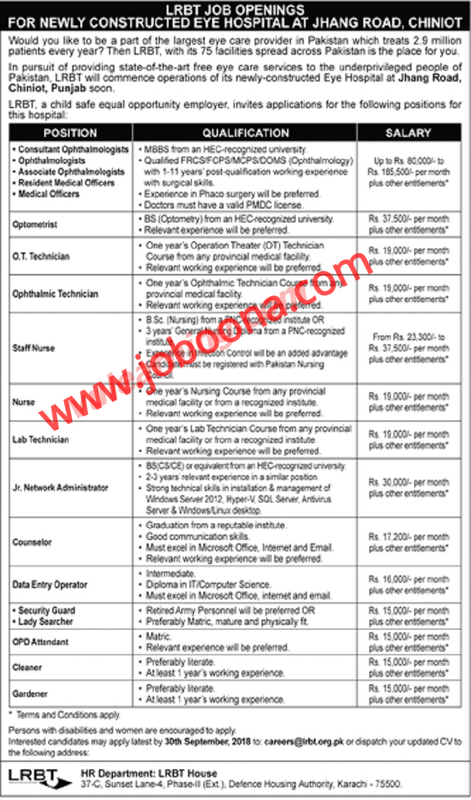 Tags # Hospital Jobs # Karachi-Jobs # LRBT-Jobs. Labels: Hospital Jobs, Karachi-Jobs, LRBT-Jobs.